Nokia just released a Brand new Nokia Purity Pro Wireless Headset - Nokia BH-940 to their original accessories. 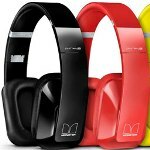 This wire-free Headset is powered by Bluetooth and NFC Technology to deliver your music from your Nokia Smartphone to your ear without any wires, enriched by with noise-cancelling technology and Monster Technology. 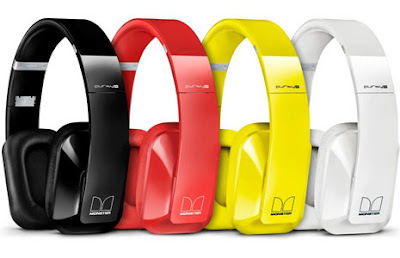 This New Nokia Purity Pro Wireless Headset is Available in 4 Colors: Black, Red, Yellow and White. If you want this Wireless Headset, you can buy it on Q4 2012 (October - December 2012) and will cost approximately €299. They're usually big and bulky though and come with a base station or transmitter that is powered by a wall outlet. All wireless headphones require batteries and many of them are rechargeable. Depending on your lifestyle, how and where you are going to use them you can choose the right pair from many types of these gadgets. While some kinds may be more appropriate during a flight or doing sports, others fit better for a more professional sound in a recording studio.